In contrast to the Constitutions of most other Western countries, which list a range of rights and provide legal protection for them, the Australian Constitution includes only a small handful of provisions that deal expressly with rights. Australia relies on institutional mechanisms for rights protection: the Parliaments and governments of both the Commonwealth and the States and independent courts applying common law principles. And so, most interpretations state that free speech (or perhaps you call it restricted speech) is a legislated right. You’re free to say many things. But the Racial Discrimination Act 1975 (RDA) makes it an offense to do an act on the basis of a person’s ‘race, colour or national or ethnic origin’ that ‘is reasonably likely … to offend, insult, humiliate or intimidate a person’. So you can’t use racist language to offend or intimidate someone. 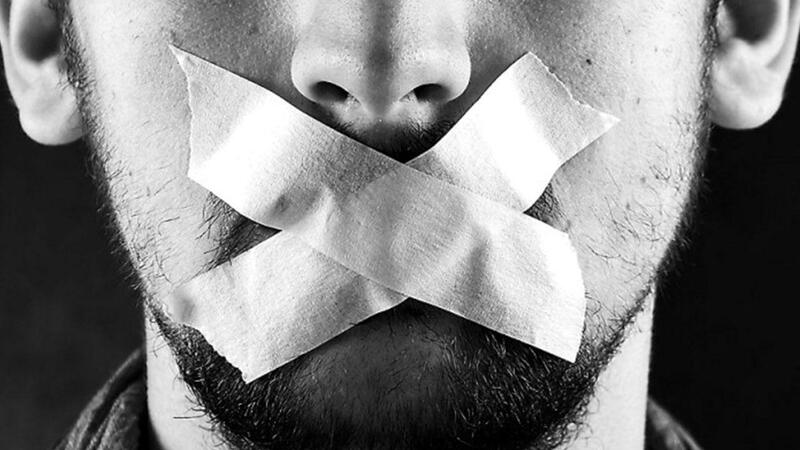 There are other parts of free speech in Australia that have been curtailed by legislation recently. However this doesn’t seem to evoke the same response from free speech advocates. One of these pieces of legislation, the Australian Border Force Act, makes it an offence for doctors, teachers or anyone involved in the offshore detention system to publicly speak out or report about the treatment of asylum seekers. This offence is punishable by two years in jail. Other newish legislation (National Security Legislation Amendment Bill (No. 1) 2014) means the media are not able to report on bungled ASIO activities (even if they don’t know that it’s spy stuff) without the threat of ten years in jail. So why are we trying to protect the freedom to say racist things but not protect the media and doctors to do their jobs? Most of us are told this when we are children. Normally by a parent after another child says hurtful things to or about us. But is it true? Or can word actually do us harm? If you want to take offence, that's your choice. You have the choice of choosing another feeling. Offence is always taken, not given. So if you don't want to be offended, you - it's up to you, don't be offended. That's it. We're not responsible for the feelings of other people. None of us are. But not everyone is as assertive as David Leyonhjelm. What if you’re told on a continual basis that there is something wrong with you/that you’re bad/etc just because of the colour of your skin. How is that going to affect you in the long term? News out today reports that the suicide rate for young indigenous men in Australia is the highest in the world. Hate speech can give those on the receiving end a feeling of inferiority. If you are exposed to this feeling your whole life it can affect how you feel about your place in the world. Let’s consider an analogy. Imagine if you told your kid that they are useless their whole life. Are they going to grow up and live their life to its full potential? Some kids might, but others won’t. And why is it so hard to just have respectful debates about race? Why does anyone need the right to racially abuse someone else? The judge in this case stated that Bolts articles “contained errors of fact, distortions of the truth and inflammatory and provocative language”. The Herald Sun, where the articles were published, was forced to issue an apology. Free speech advocates were livid. Then in March 2014 Attorney-General George Brandis announced the Government’s proposed changes to the Racial Discrimination Act of 1975. These changes were going to remove Sections 18B, C, D and E of the Act which made it unlawful to offend, insult, humiliate or intimidate another person based on their race. Sections 18 and 19 of the Racial Discrimination Act were introduced by an amendment in 1995 to address community attitudes after the Royal Commission into Aboriginal Deaths in Custody and a National Inquiry into Racist Violence. The 2014 Government plan was to replace Sections 18B, C, D and E with a new section that made it unlawful to vilify or intimidate a person based on their race. However, this new section did not apply to words, sounds, images or writing spoken, broadcast, published or otherwise communicated in the course of participating in the public discussion of any political, social, cultural, religious, artistic, academic or scientific matter. Many commentators believed that the proposed exception was so wide it is hard to imagine that the law would prevent any conduct. Even if such speech is deeply unacceptable, making it unlawful significantly restricts free speech. He argued that racism needs to be constantly tackled, but that censorship of speech is not the solution as it sends racism into dark corners where it festers and takes on a more ugly and explosive form. Now is certainly not the time to be elevating a right to bigotry over a right to be free from bigotry's effects. The high level of the community discussion caused the Abbott Government to call for submissions on their exposure draft to the changes. They received 4100 submissions from various ethnic and religious groups along with groups concerned about free speech. More than 76 per cent of these submissions were opposed to the proposal, 20.5 per cent of submissions were in favour of the changes, and three per cent called for a complete repeal of all racial discrimination protections. I’m a passionate supporter of free speech and if we were starting from scratch with section 18C we wouldn’t have words such as offend and insult in the legislation. But we aren’t starting from scratch. We are dealing with the situation we find ourselves in and I want the communities of the country to be our friend not our critic. Since the proposed changes were dropped the discussion about repealing Section 18C of the Racial Discrimination Act has bubbled along. Recently a number of the crossbench Senators have called for this legislation to be altered. They includes the One Nation Senators, David Leyonhjelm (as mentioned above), Bob Day from Family First, Derryn Hinch, plus there are a number of Coalition MPs and Senators in support of change. This week Senator Nick Xenophon stated that his party would not be supporting changes to the Racial Discrimination Act. Effectively this means that the matter is dead. Labor with 26 in the Senate, the Greens with nine and Xenophon with three makes the total number opposed to the changes 38. And that’s precisely the number of votes needed to block any legislation. The Attorney-General George Brandis has also stated that the matter was "off the table". So do you think this debate is dead? Or should Australians argue to continue this debate?